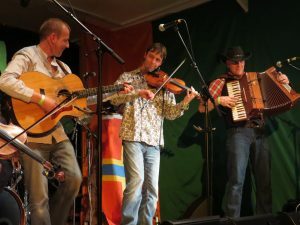 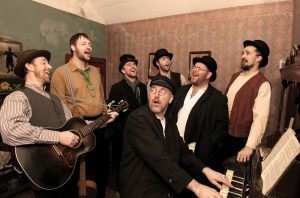 Orcadian 8 piece band ‘The Chair’ offer a lively and up-beat performance mixing Orcadian melodies with blues, dub and klezmer, brought to you with a no holds barred jam session of fiddles, banjos, accordions and drums which is sure to get your feet stomping. 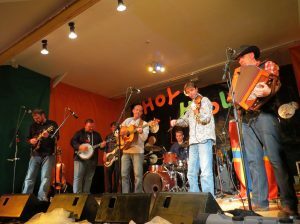 With two previous highly acclaimed albums, The Chair will be on fire ahead of the release of their hotly anticipated 2018 album. 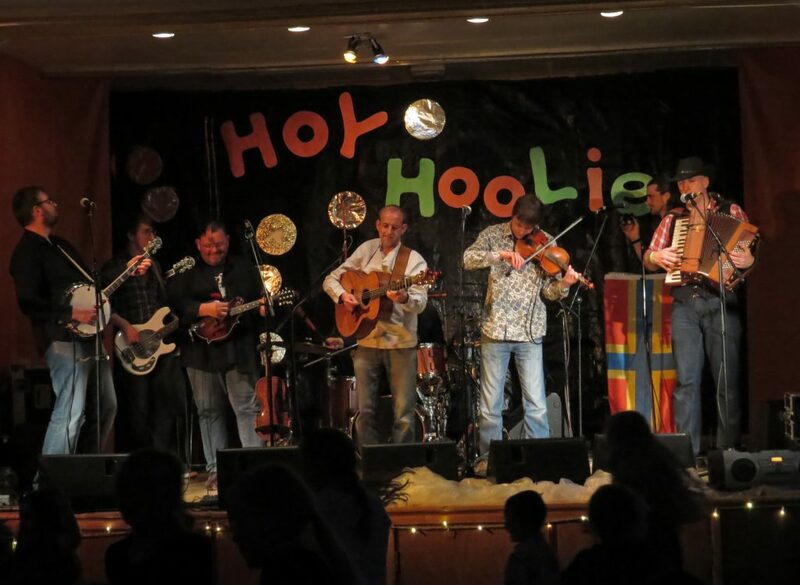 Pictured here at the Hoy Hoolie 2015.